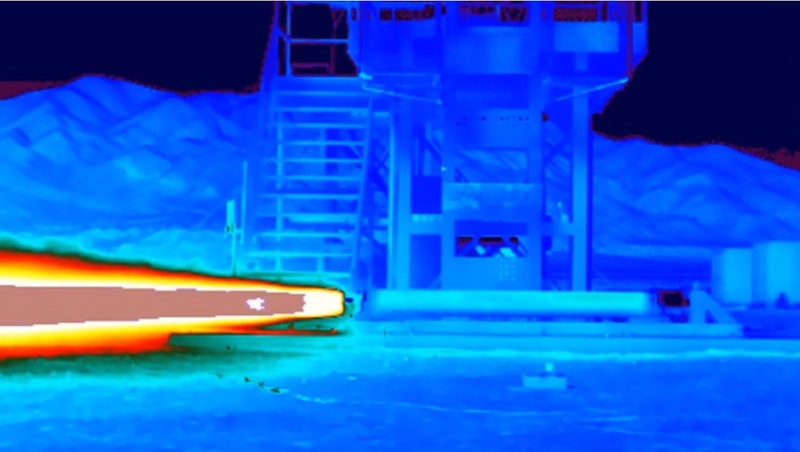 FLIR Systems reports on how the University of Southern California (USC) Rocket Propulsion Lab has used a FLIR T540 thermal camera to provide valuable data at a level unattainable with thermocouples to measure performance of rocket thermal protection system during engine ­firing. On test day, USC researchers powered up the T540, plugged the ambient conditions of the Mojave Desert test area into the camera, and placed it far enough away to keep the camera safe while maintaining a tight field of view. The Graveler II rocket test was a complete success so no failure investigation was necessary. However, USC researchers reported that the thermal camera had enabled them for the first time to get some meaningful data about how the thermal protection system on their rocket manages the heat. With these results, the USC Rocket Propulsion team are now close to obtaining their official space launch window from the FAA. Operators of the thermal camera commented, "We found the T540 very intuitive and easy to use. We only needed to watch a brief tutorial video on the FLIR ResearchIR software and then were ready for the test firing."